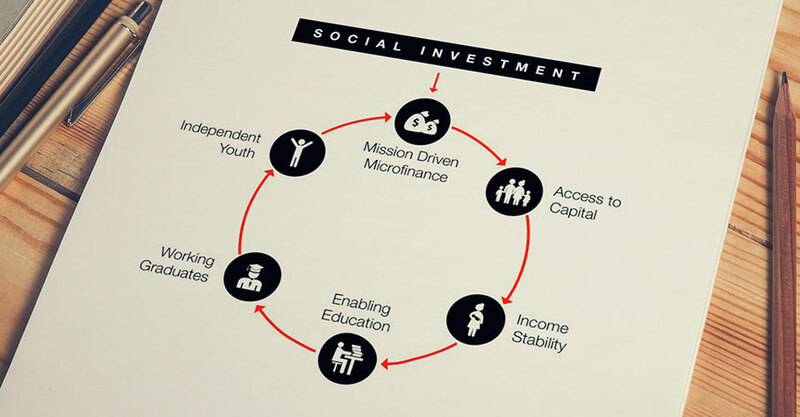 In order to achieve sustainability, YCAB Social Enterprise uses a Social Investment approach in maximizing its social and economic impact. Some of the funds coming from our partners and social investors are pooled into the Social Investment program. These funds are then invested into YCAB’s mission driven Micro Finance (MFi) which is run by YCAB microfinance entity. By providing access to capital for low income women entrepreneurs, YCAB’s mission driven MFi program aims to enable these women to improve income stability in the family, leading to opportunities of sending their children to school and providing higher education. This is what differentiates us from other microfinance operations: as a prerequisite for these women entrepreneurs to receive loans, their school-aged children have to remain in school and receive proper education. By doing so, ultimately our goal is to produce more working graduates from these less-advantaged families, to further progress into a generation of independent and empowered youth thriving for better lives and bigger dreams. Aside from income stability, the surplus from the mission driven MFi operation is re-invested to support the activities of YCAB Foundation in promoting education. We believe that education is a powerful tool to create positive change and break the poverty cycle.